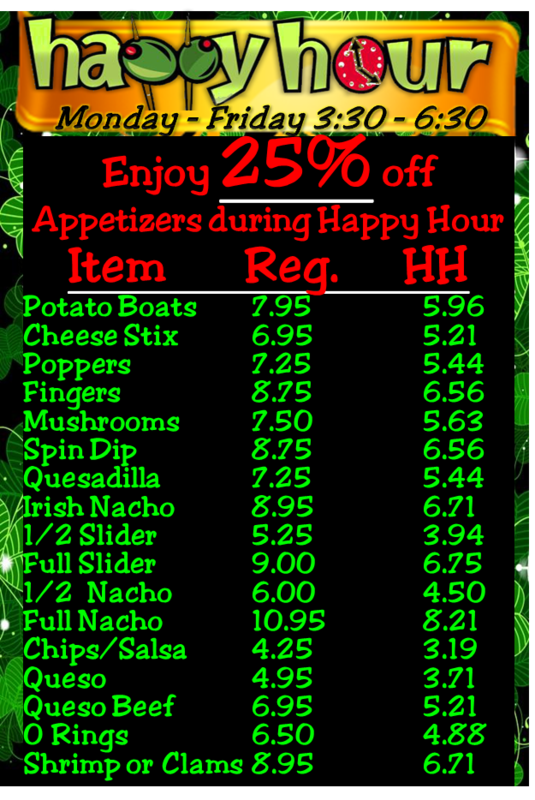 Happy Hour pricing available for dine in only. Takeout orders for discounted Happy Hour items will incur a $1.00 environmental surcharge. Not available during some special events.